Equipped for both patient and operator comfort the Full Sound System provides everything you need to relax your patients with music during their MRI scan. Patients and technologists can listen to different music sources at the same time. 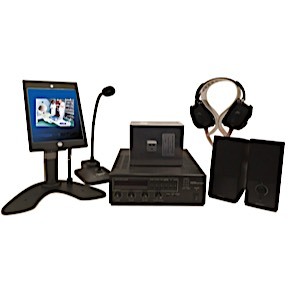 The dual-active headset capability allows the patient and a companion to listen to the same source allowing for encouragement and assistance when listening to the technologists instructions. We also offer a TRUE Non Magnetic Transducer unlike other companies who use Magnetic Speakers in the Magnet room. LIFETIME warranty on transducer and One-year warranty on all other parts and Customer Support for Life of the Sound System.